Alleged Norwegian spy to stand trial in Moscow City Court | Russian Legal Information Agency (RAPSI). 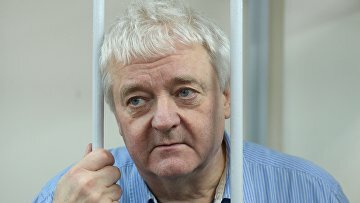 MOSCOW, March 22 (RAPSI) – The Moscow City Court will consider a criminal case against Frode Berg, a citizen of Norway charged with espionage related to Russian navy, the court’s press service has told RAPSI. The hearing date has not been scheduled yet. Earlier, Berg’s attorney Ilya Novikov said that the Norwegian national may be swapped for Mikhail Bochkarev, a Russian citizen arrested on the same allegations in Norway. But in October, charges against Bochkarev were dropped and he was released; therefore, the exchange turned out to be impossible. According to information in the public domain, Berg was arrested when receiving secret documents containing information on Russian navy in December 2017. These papers were allegedly given to him by Russian national Alexey Zhitnyuk, who was detained in December 2017 on suspicion of treason. In September, Russian investigators authorized a supplementary expert examination in the case against Berg. The Norwegian citizen has been staying in a detention center for over a year. He could face up to 20 years in Russian prison if convicted. However, he pleaded not guilty. 14:57 22/03/2019 The Moscow City Court will consider a criminal case against Frode Berg, a citizen of Norway charged with espionage related to Russian navy.